3. URL of spoof website choosen to look real at a glance, as is very similar but NOT THE SAME! 4. URL not disguised - relies on similarity to real URL to fool victims. 5. 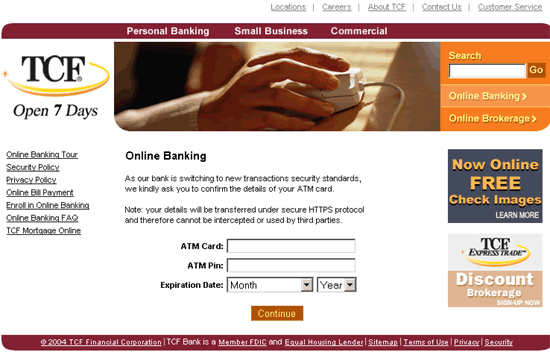 One of several variations on the same scam currently in circulation. Only real difference between them is the email subject. 6. Clicking on the link in the email also sends your email address to the phishers via a script on the spoof website.
" 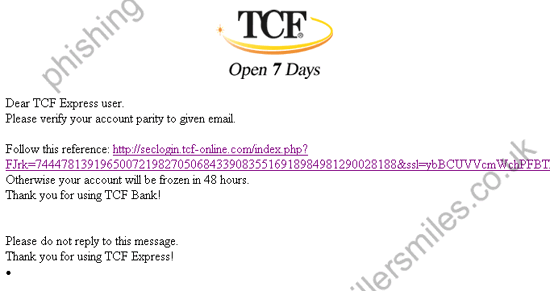 Dear TCF Express user. Please verify your account parity to given email "